To register online for the Camp de Benneville Pines Weekend, April 5-7, 2019, please submit the form below. If you have any questions, please contact Chris at cfaller5@gmail.com or by phone/text at 858 344 0227. Total # in your party? You may request more luxurious accommodations in Craig’s Cabin for an additional $70 per room. There are also a limited number of double beds in standard cabins that may be requested for an additional $15 per room. These requests will be granted on a first-come-first-served basis unless special accommodations are required to meet the needs of a registered guest or family. Scholarships help ensure everyone in our community can attend Camp de Benneville. Make Checks payable to UUFSD DeBenneville Family Camp. 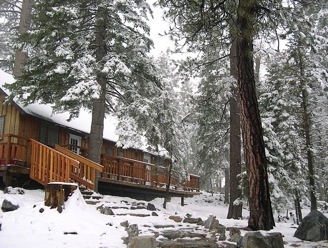 Deliver registration form and payment to Chris Faller, Betsy Gilpin, Christie Turner or Marianne Swift-Gifford before/after service, drop in the DeBenneville Pines box in the office at UUFSD or mail payment to: UUFSD Family Camp, 604 Santa Helena, Solana Beach, 92075. If you have chosen to pay by PayPal, a PayPal invoice will be emailed to you and will include an additional 3% PayPal service charge. Please check your junk mail folder periodically. If you do not receive a PayPal invoice, please contact Chris Faller (see above for contact details). Cancellations received after 3/22/2019 are subject to a $25 cancellation fee.